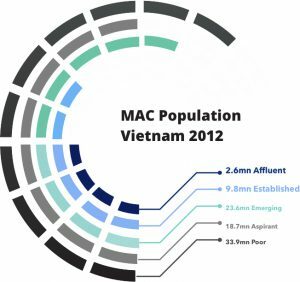 The middle and affluent class (MAC) includes those people whose monthly income is at least VND 15mn (USD 750), a threshold at which consumption is observed to take off. 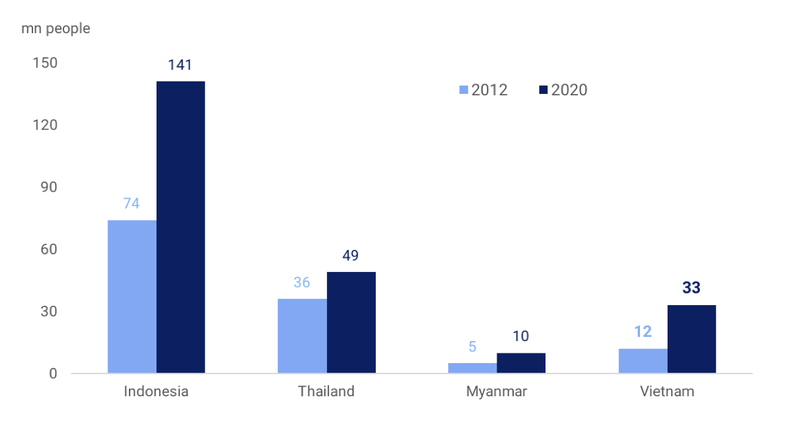 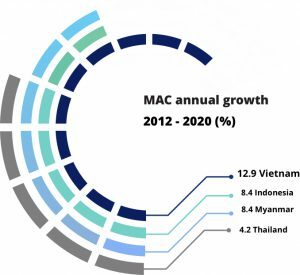 It’s estimated that Vietnam’s MAC population will increase from 12mn in 2012 to 33mn in 2020 at an annual growth rate of 12.9%, higher than Myanmar (8.4%), Indonesia (8.4%), and Thailand (4.2%). 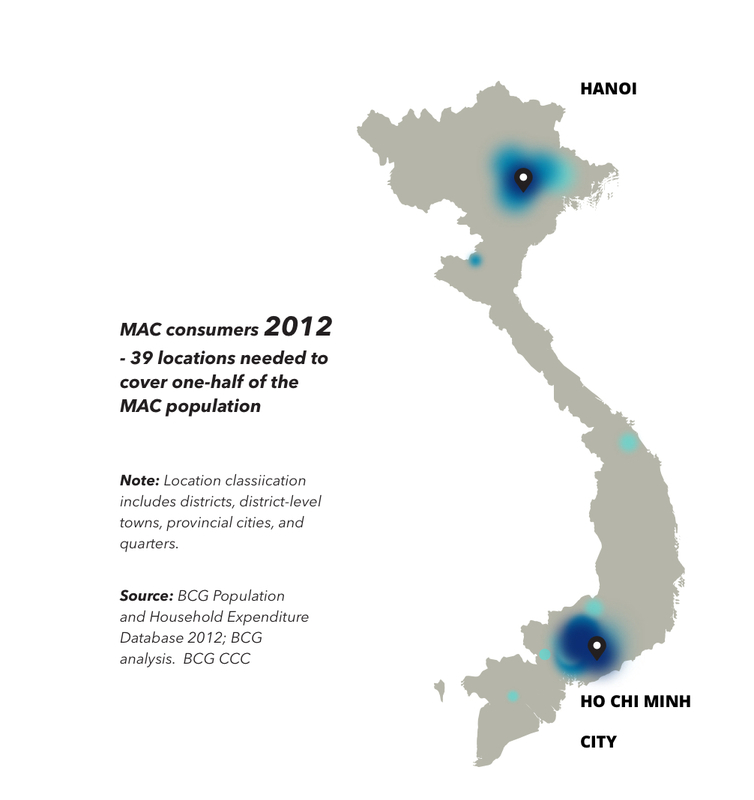 Sources: BCG CCCI models; BCG analysis. 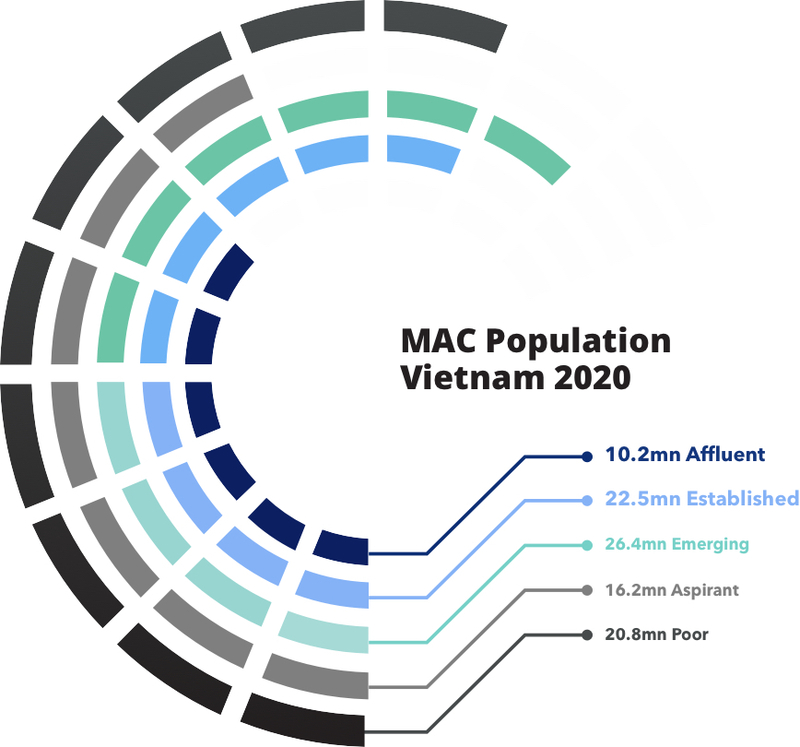 In addition to growing in size, the MAC population will also spread out to other provinces and cities besides the ones surrounding the current hubs (Ho Chi Minh City and Ha Noi). 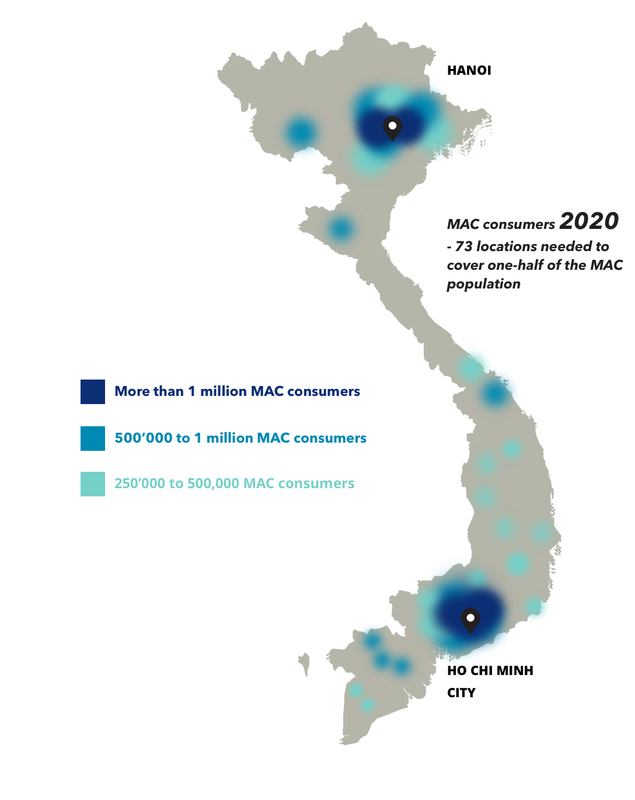 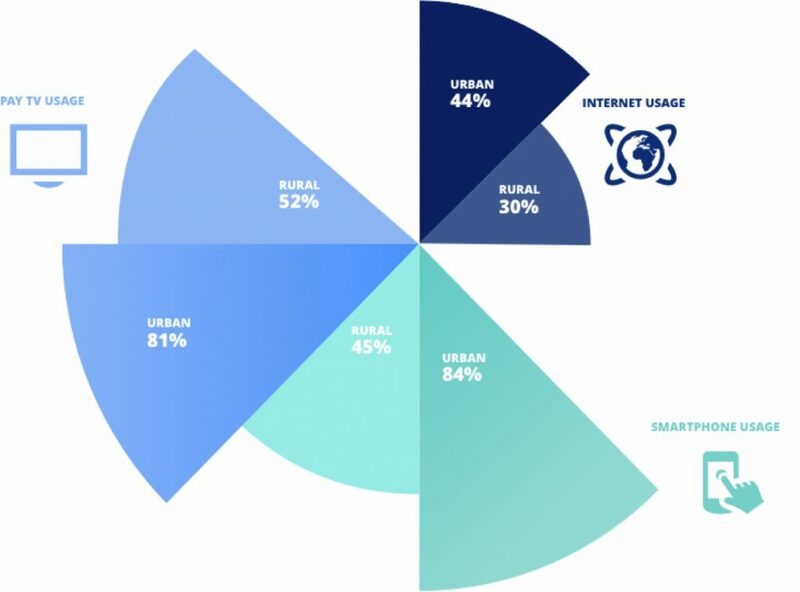 Vietnam’s rural population (currently 62%) is getting wealthier and more connected to new consumption trends, thanks to cheap internet coverage and increasing mobility.